This World Water Day, 22nd March, is about tackling the water crisis by addressing the reasons why so many people are being left behind. On 15 February, UN-Water will brief Permanent Missions in New York on the campaign, ways to engage and present forthcoming messages on the 2019 edition of the UN World Water Development Report, UN-Water’s flagship report. On behalf of UN-Water and the Permanent Representatives of the Steering Committee of the Group of Friends of Water – Brazil, Canada, the Arab Republic of Egypt, Ethiopia, Finland, Hungary, Japan, the Hashemite Kingdom of Jordan, the Russian Federation, Tajikistan, Thailand and Switzerland – The Permanent Mission of Canada to the United Nations has invited the Permanent Representatives to a briefing on the World Water Day campaign and the UN World Water Development Report 2019. The theme of the campaign and the report captures the essence of the 2030 Agenda for Sustainable Development, which aims to allow all people in all countries to benefit from socio-economic development and to achieve the full realisation of human rights, without discrimination on the basis of gender, age, race, language, religion, political (or other) opinions, national or social origin, property, disability, residency status or any other social, economic or political status. Today, we are off track to meet the Sustainable Development Goal on Water and Sanitation and the campaign contributes to the effort to speed up progress. In addition to the briefing, a brown bag lunch is held on the same day linking Sustainable Development Goal 6 and Sustainable Development Goal 10. Sustainable Development Goal 6 calls for water and sanitation for all by 2030. By definition, this means leaving no one behind. But today, billions of people are still living without safe water – their households, schools, workplaces, farms and factories struggling to survive and thrive. Besides the social dimension, this as severe impacts for the economy and the environment. 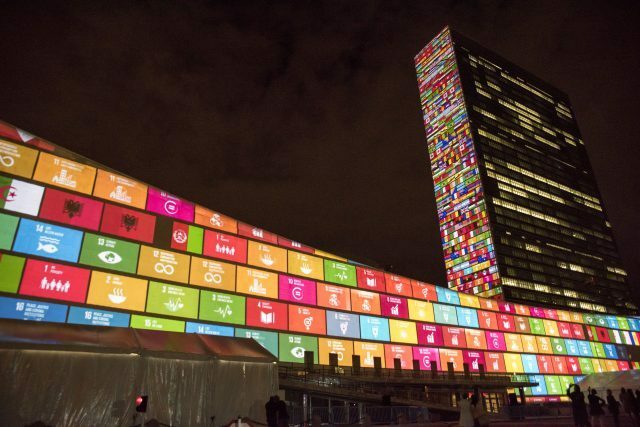 Sustainable Development Goal 10 aims to reduced inequalities and will be reviewed during the 2019 High-Level Political Forum on Sustainable Development. Inequalities are demonstrated through access to water and sanitation. Marginalized groups – women, children, refugees, indigenous peoples, disabled people and many others – are often overlooked, and sometimes face discrimination, as they try to access and manage the safe water they need.